This post started out as a bit of a grumble about the complete lack of support here in Australia for Windows Mobile devices. 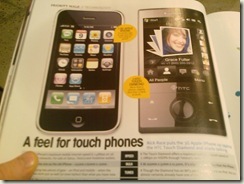 I recall about a months or so ago being pleasantly surprised when I saw the HTC Touch Dual on that back of buses. It got me thinking that Microsoft Australia actually cared what devices we bought and were trying to make a difference. Unfortunately, last week my trusty device (the Touch Dual) packed it in. For some reason the screen is completely dysfunctional – whilst you can still do quite a few things with the device with no touch screen, it’s almost impossible to dismiss alarms/reminders and send SMS messages. This is because the hardware manufacturers have decided to move away from providing hardware alternatives to the on-screen soft-keys. 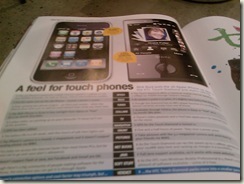 Over last weekend I went looking for a new Windows Mobile device. Being familiar with the HTC Diamond I thought I’d at least start with that. I know that the Touch Pro (essentially the Diamond with a keyboard) has been released but I doubted that anyone in Australia would stock it. What I wasn’t prepared for was the complete lack of nearly any Windows Mobile based devices in any of the stores we went into. I think we went into close to 10 shops covering 3, Telstra, Vodafone, Optus and a couple of other less carried dependent stores. Of these stores perhaps 1 or 2 of them had the Touch II or the Touch Dual. Surprisingly the Telstra store had a Diamond on display but that was the only Windows Mobile device out of around 30 phones on display. Nearly all the stores had the usual suspects of Blackberry, Nokia, Samsung etc on display. 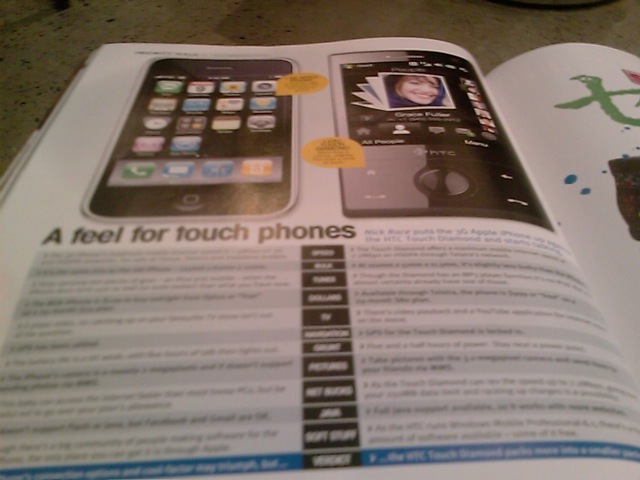 Oh, and yes, of course there was the mandatory iPhone propaganda. In summary I don’t know what the Windows Mobile group is doing in Australia, but it’s definitely not working. The message is not getting out, the devices are not a viable alternative as the plans are not competitive and they are not accessible! Ok, so now for some good news. 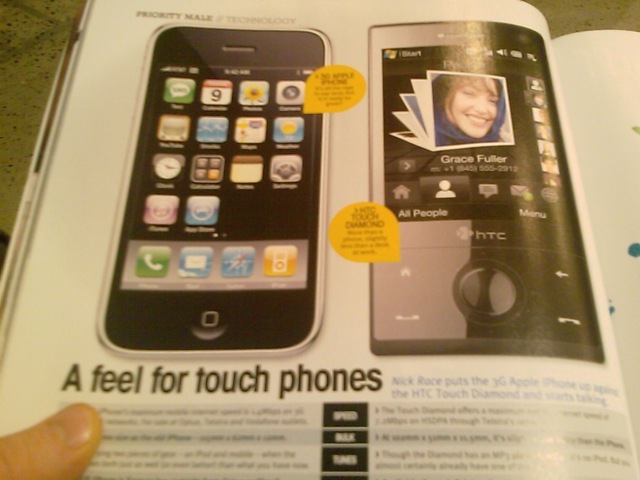 I happen to be waiting to get my hair cut and was flicking through a copy of Men’s Style and came across a one page comparison between the iPhone and the HTC Diamond. I immediately thought “here we go, more Go Buy an iPhone rubbish,” but no, this was actually a fair comparison of the good and bad points of the devices. In fact, after reading it you’d want to go and buy the HTC Diamond. To wrap this post up, I’m going to conclude that since this was in a Men’s article that (HTC) Diamonds are clearly designed for men, whilst iPhones are only suitable for girls.